Looking to get some new makeup? 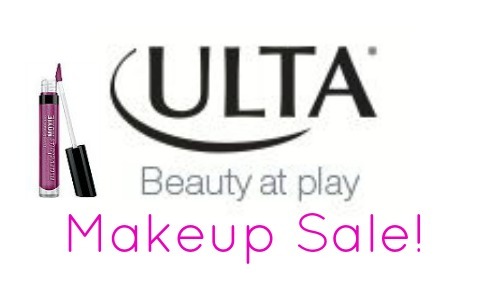 ULTA is offering up to 75% off select makeup items in their Sale section. Items are being offered for as low as $1, which is a great price for quality makeup. Go ahead and check out all the different kinds of products that they have to offer. There is also a coupon for $3.50 off $10 purchase that you can use in-store or online. If you would like to use it online, use code 201894. Coupon expire 5/11. Shipping is FREE on order over $50.